This is the place you need to be for Hospitalist jobs in New Jersey. Hospitalists are medical doctors that have, like any physician, finished an undergraduate program, completed medical school, and taken part in an internal medicine, pediatric, or family medicine residency. However, hospitalists have decided to specialize in patient care for those who must stay in a hospital. Hospitalists are the best choice for hospital patient care for many reasons. Hospitalists have a better understanding of the workings of the hospital where they are employed. This makes it easier for them to order tests or other procedures that patients may need. Also, hospitalists remain on location at the hospital for most if not all of their working day. This makes them easy to contact and consult for minor or major medical issues and questions. Finally, patients who are spending time in a hospital need specialized care from a physician that knows what they are doing. Hospitalists know how to treat patients in a hospital because they have the necessary training. The hospitalist profession is a new one in the medical field. However, it has really picked up steam in the last twenty years. It is clear that many hospitals and medical centers now see the benefits of having multiple hospitalists on staff. Before hospitalists were used, it was common to have the patient’s primary care doctor come and control all treatment for his or her patient. However, this lead to a very slow and cumbersome system because the primary care could only visit the hospital once a day at most and could only be consulted over the phone. Hospitalists, on the other hand, can be reached at anytime of the day and can come quickly as they are almost always on site. It should also be noted that hospitals perform research, teach other medical professionals, and provide leadership when it come to hospital patient care. New Jersey is a small state, but houses a population of just under nine million people. New Jersey has many regionally and nationally ranked hospitals to care for these people and always has open hospitalist jobs in New Jersey. Some of these fabulous hospitals include Hackensack University Medical Center in Hackensack, Morristown Medical Center in Morristown, Robert Wood Johnson University Hospital in New Brunswick, AtlantiCare Regional Medical Center in Atlantic City, and Jersey Shore University Medical Center in Neptune. Some big cities in New Jersey include Trenton, Newark, and New Jersey City. It is also very easy to access many neighboring states from New Jersey and to take flights from the Newark International Airport. You can always find something to do in or out of New Jersey. If you are a hospitalist seeking work in New Jersey, we have the positions for you. Our database of Hospitalist jobs in New Jersey is updated daily and open for use without registration. Furthermore, all our services are free for any physicians looking for positions that match their educational background and training. Come and check out our job openings today. 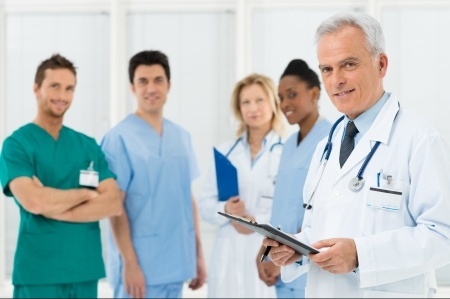 Doctor’s Choice Placement Services, Inc. provides a doctor placement service for all hospitals or medical centers with not charge until the job is complete. If you have open hospitalist jobs in New Jersey, we can find you physicians to fill them. All you have to do it is call us at (800) 510-0975, contact our New Jersey Hospitalist Recruiters, or go to our New Jersey Hospitalist Employer page. Come see what we have to offer. You will not be disappointed.